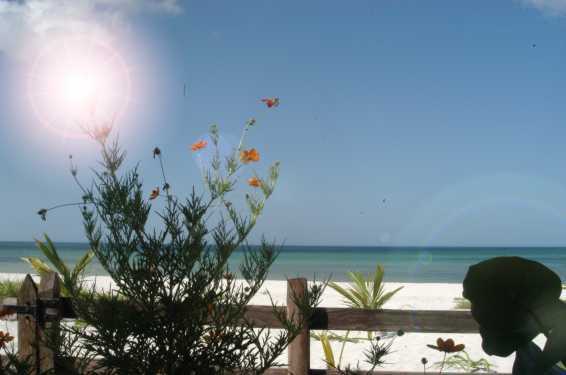 El Cuyo is a quaint fishermen village in the Yucatecan emerald coast. 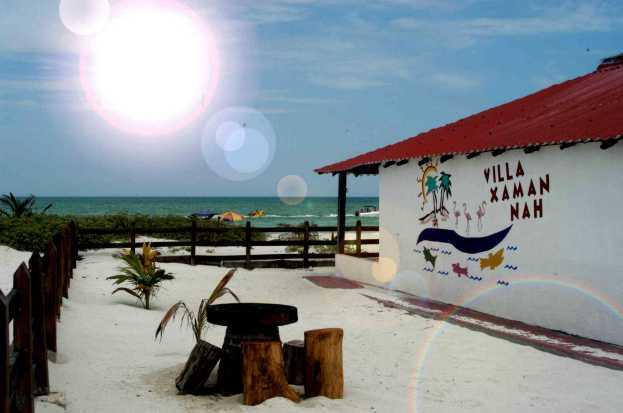 You can find this charming village on the beach at the northeast coast of the Yucatan Peninsula, where the turquoise blue Caribbean get together with the shallow waters of the Gulf of Mexico. It is located over two hours from Cancun and three and a half hours from the colonial city of Merida, capital of the Yucatan state. 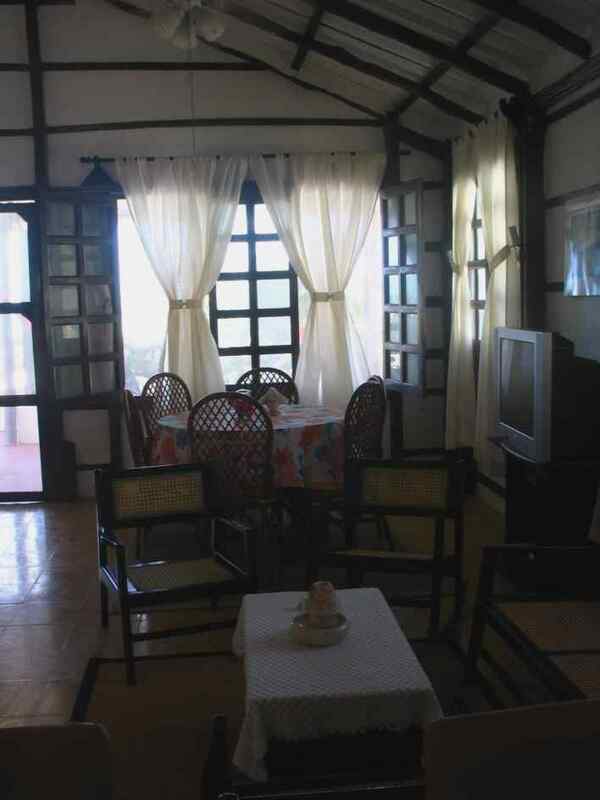 El Cuyo is a small beach community where you will enjoy the ambience of a port. 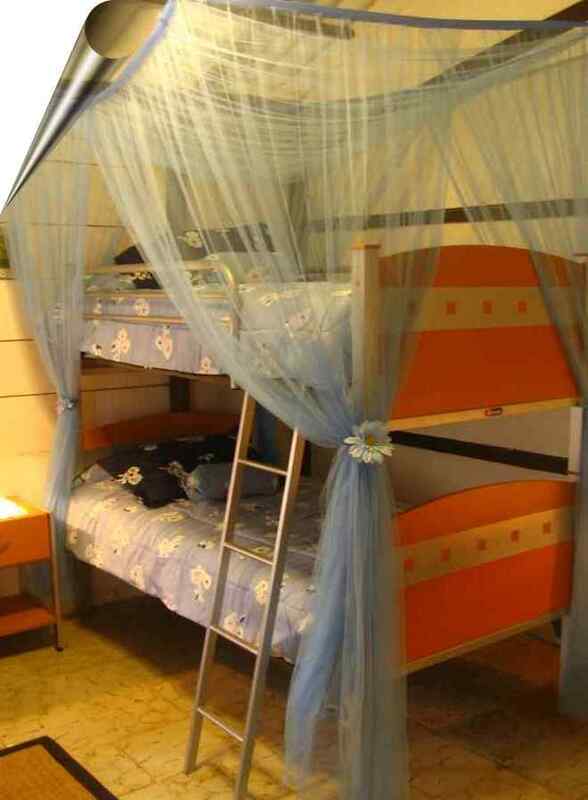 Everything about it invites you to relax and enjoy the beauty of the nature. 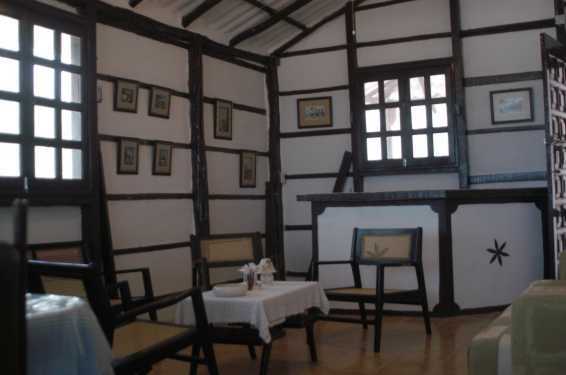 El Cuyo is located inside the National Park of Ria Lagartos, which is internationally famous for the 30,000 pink flamingos that come to the area between January and September for reproduction. 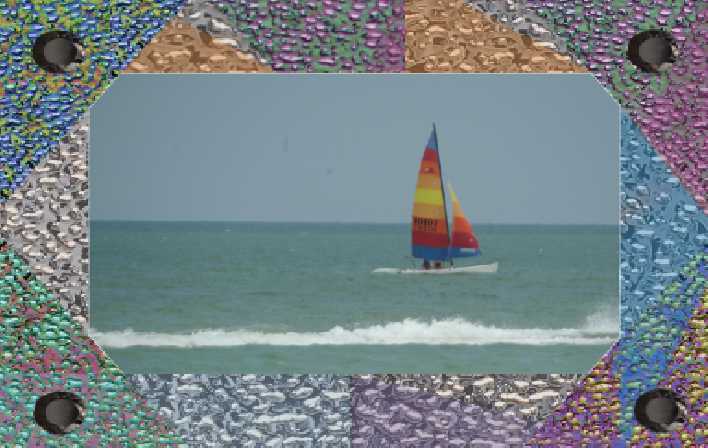 It is also the home of the Sea Turtle that visits the beach shores between June and August to lay their eggs in the sand. 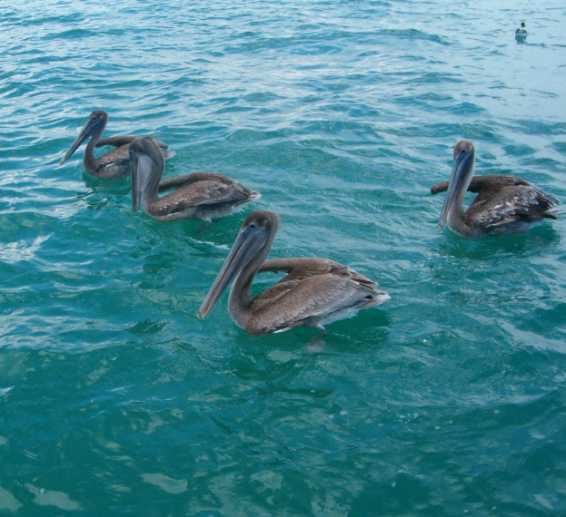 With more than 360 different birds visiting Rio Lagartos, it is also a fantastic place for bird watching. In addition to the diverse wildlife, you will find a tropical forest full of Royal palms, coconut plantations and majestic Ceiba trees, the national tree of Yucatan. Ria Lagartos National Park is considered a true jewel for lovers of peace and nature…far away from telephones, pagers, and computers. As you arrive in El Cuyo, you will cross the Rio Lagartos causeway over a red lagoon whose color is the result of a high concentration of salt. This lagoon separates El Cuyo from the mainland of Yucatan. The lighthouse that is built on the remains of old Mayan ruins welcomes you as you drive into the village. El Cuyo is home to 1500 permanent residents that are dedicated fishermen and live in colorful wooden houses. 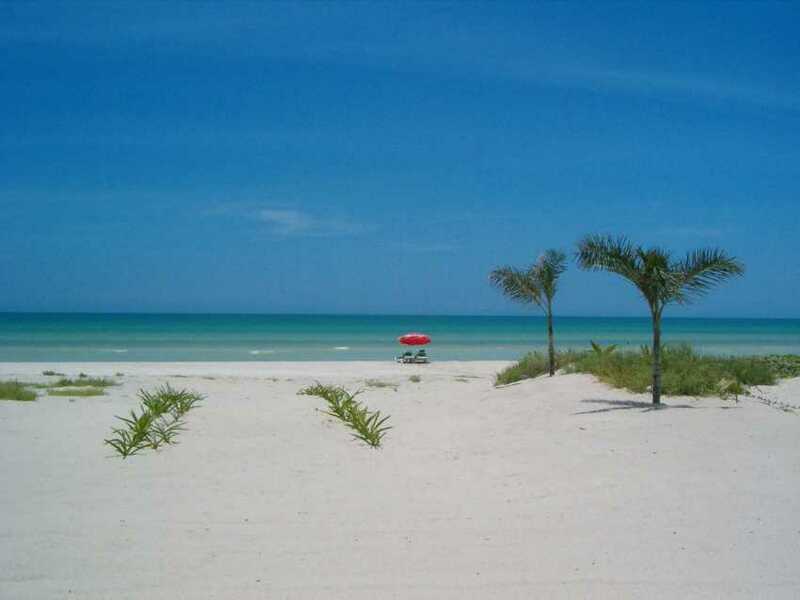 While walking in the white powder sand along the beach you will find an abundance of sea shells . 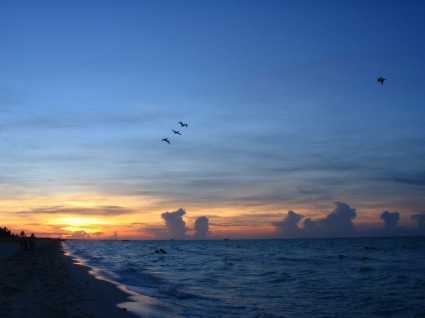 El Cuyo's special location provides beautiful sunrises and sunsets over the beach. And at night, you can enjoy a romantic campfire on the beach and gaze into an infinite sky filled with stars. 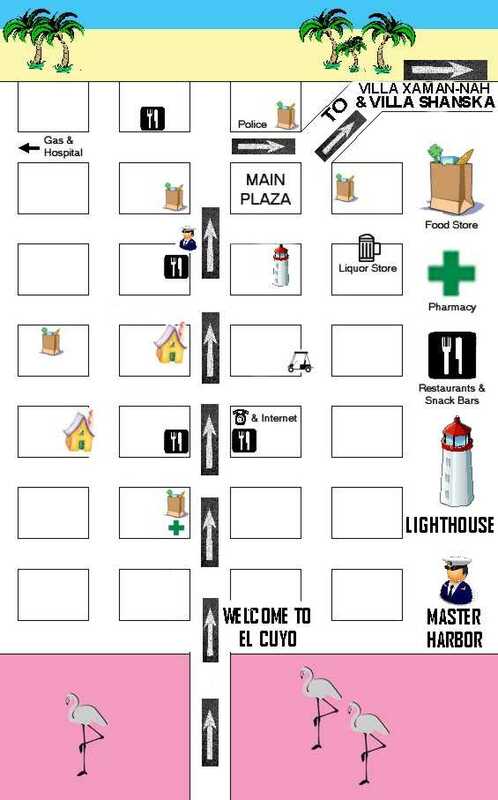 To get to El Cuyo, go north from Valladolid to Tizimin, go East to Colonia Yucatan, and then North to El Cuyo. 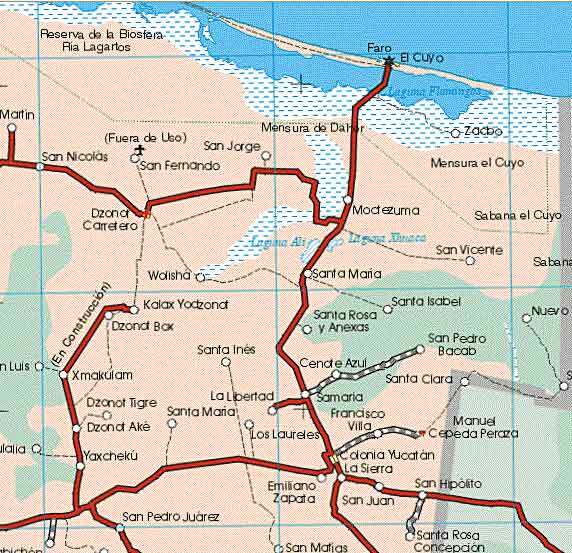 The Cancun el Cuyo road Route is perfect also the Merida - El Cuyo road. 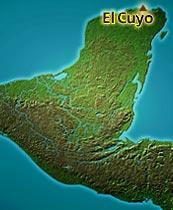 You can refer to your Map of the Yucatan for more information. 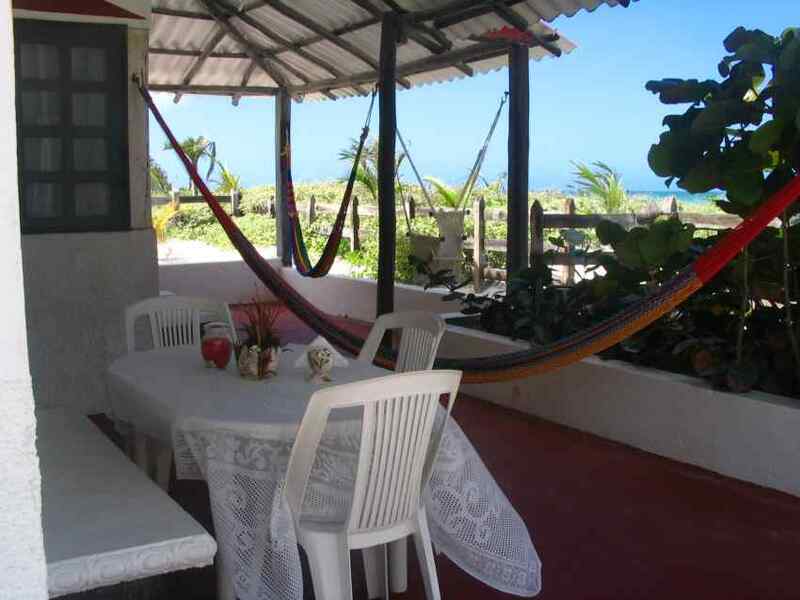 A visit to El Cuyo is simply being in a hammock in front of Villa Xaman-Nah facing the sea, reading your favorite book, feeling the soft sea breezes, drinking a beer or other well-iced refreshment, and in the company of loved ones. Nature. Relaxation. Adventure. What more could you ask!!! 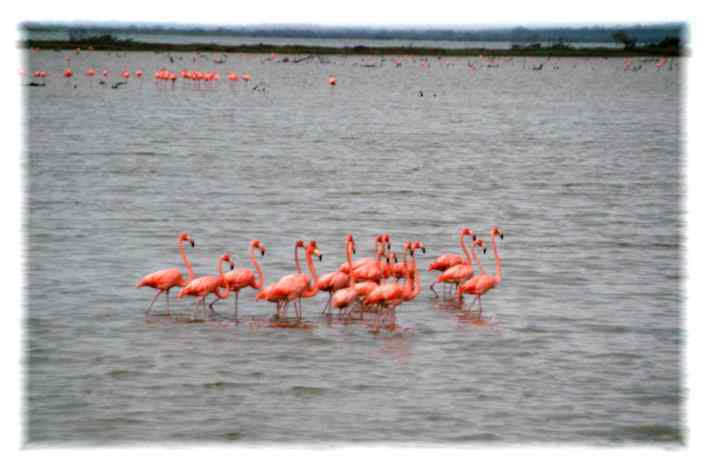 In "El Cuyo" it is possible to contemplate the habitat of numerous species of aquatic birds, like herons of different types, diving birds, martín fisherman, the water hens and pelicans, among others, most beautiful of these is the "flamenco yucateco", by the colors of his plumage, rose and black, that make it unique in the country. 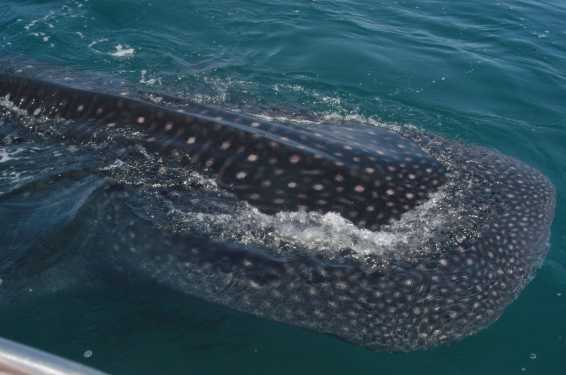 It should be noted that in the Yucatan, with the exception of other regions of the country, there are no real rivers, but a training feature called estuary, which is a sea entrance to the mainland coast which forms channels filled with aquatic vegetation, making an El Cuyo paradise. 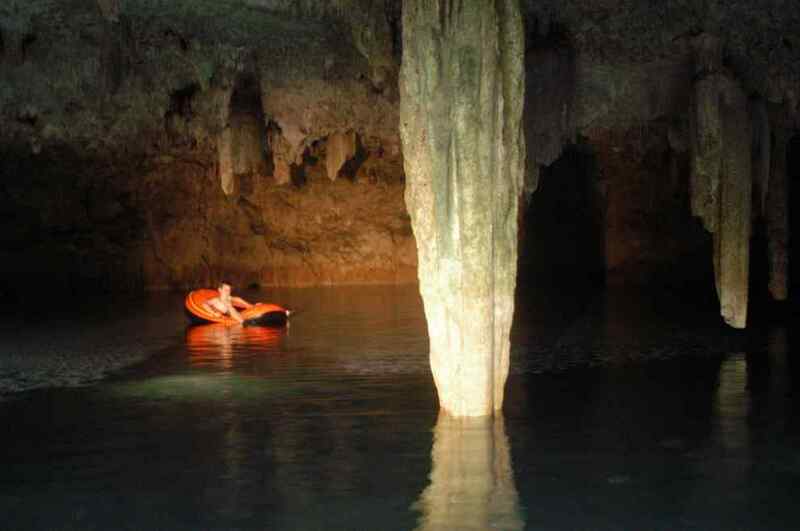 And we invite you to learn another one of the treasures that we save this magical place like the cenotes, that you will not find elsewhere in the world and which are sources of freshwater flowing from the limestone and were considered sacred by our Mayan ancestors , where you can swim in these waters and snorkeling energizing as never before imagined. is a Mayan word, which means “house of the north” and which describes with precision the place where this picturesque villa is, framed by a tropical panorama with turquoise greenish colored seawater and soft, fine and very white sand on the northwest coast of the State of Yucatan. 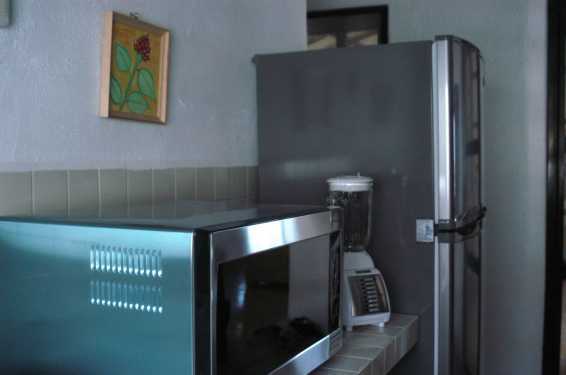 Villa Xaman-Nah is an enchanting villa, which preserves the construction style of the ancient inhabitants of this region as a form of respect to the culture that our Mayas tried to communicate to the present generations. Stucco, stone and wood are an essential part of the construction of this villa, which was redone not long ago to offer you comfort and the necessary facilities for a perfect vacation without forgetting the ancestral magical touch, which we try to transmit. 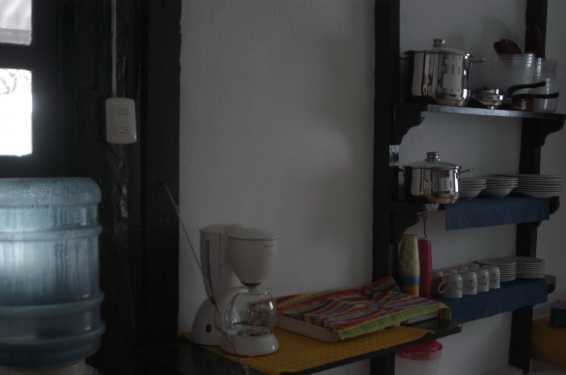 The kitchen is fully equipped as it can be noted in the pictures below-. The master bedroom to the left and the second bedroom to the right. 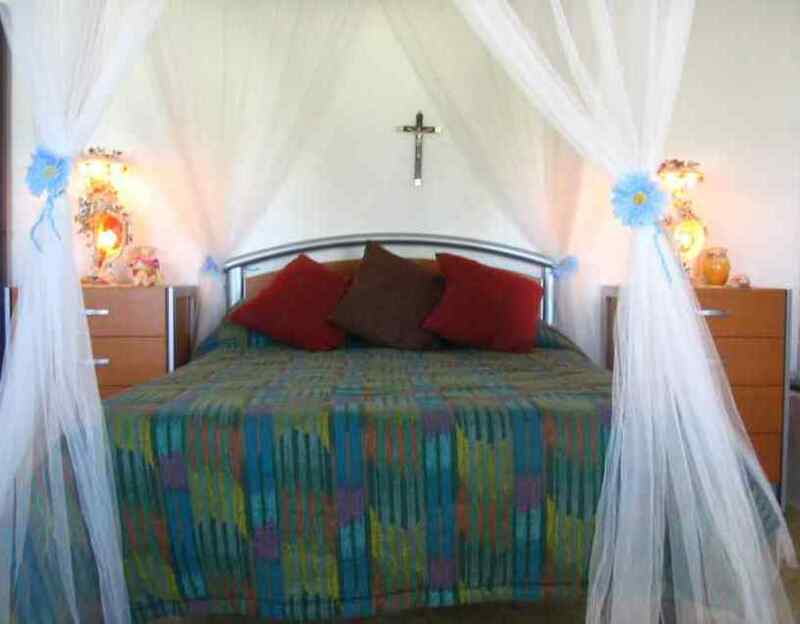 Due to its privileged location inside the Ria Lagartos National Park, Villa Xaman-Nah offers everything you always dreamed about magical and unforgettable vacations surrounded by natural beauty that offers the little fisherman’s town of El Cuyo. Unique flora and fauna of this place, which you will only find in the Biosphere Reserve of Ria Lagartos, frame it. 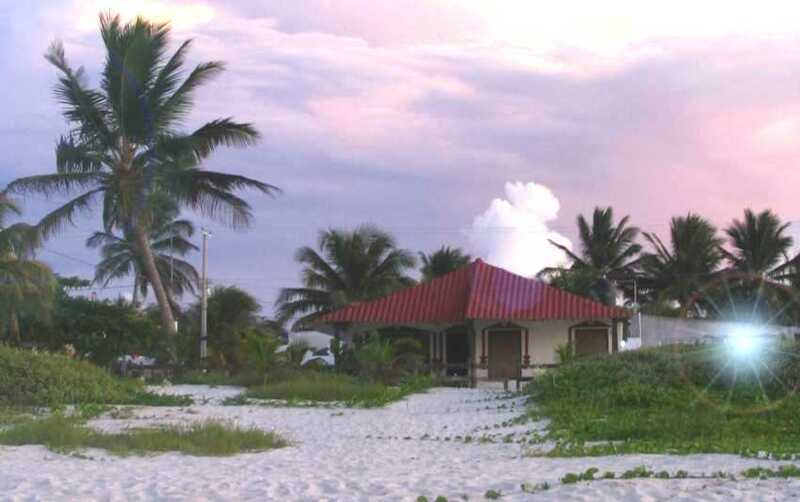 If you are thinking about an eco-tourism adventure or about some days of relaxation and privacy near a ocean with turquoise greenish waters and white sand sprinkled with a beautiful variety of shells, which invite to explore and make long walks on the beach, Villa Xaman-Nah is an option you cannot miss. We invite you to walk the beach in front of the Villa in the morning, enjoying a brilliant dawn and during the evening you will be astonished to be able to enjoy a spectacular sunset on the same beach. This is one of the many advantages to stay at this Villa, as it faces the northern waters, spectacular dawns and sunsets can be watched. And there is more… if you get tired to watch the ocean, we invite you to take a look behind the villa to the south towards Ria Lagartos, where you will find countless pink flamingos, unique in this region, nesting very near in the calm waters of the Ria. The extraordinary cultural and natural richness, which offers this unexplored paradisiacal place, make of Villa Xaman-Nah the perfect and preferred place for everyone who is seeking a unique and unforgettable experience, reserved only for those who are anxious to find new places, never visited before, where the eco-tourism is born when you arrive. Oceanfront house situated directly on the white sand beach.